2850 Square feet (265 square meter) (317 square yards) 4 bedroom beautiful sloping roof style modern house architecture. 1 bedroom placed on the ground floor and 3 on the first floor. Designed by Shell building designers, Thrissur, Kerala. 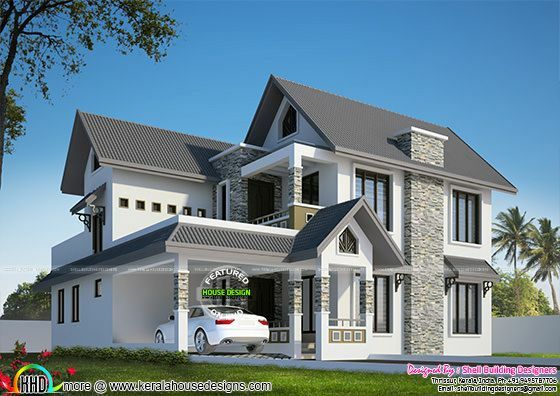 0 comments on "Beautiful sloping roof 2850 sq-ft home"